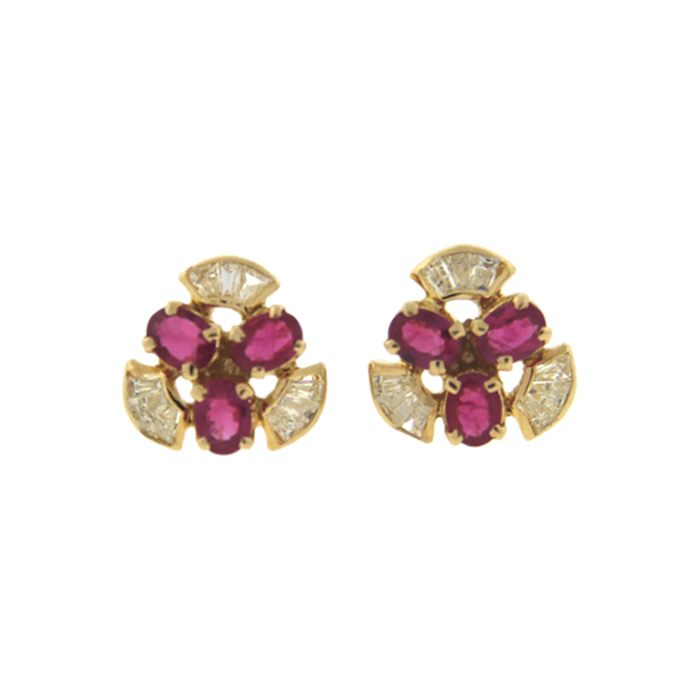 Bright and sparkly - these estate ruby and diamond earrings are real show-stoppers! 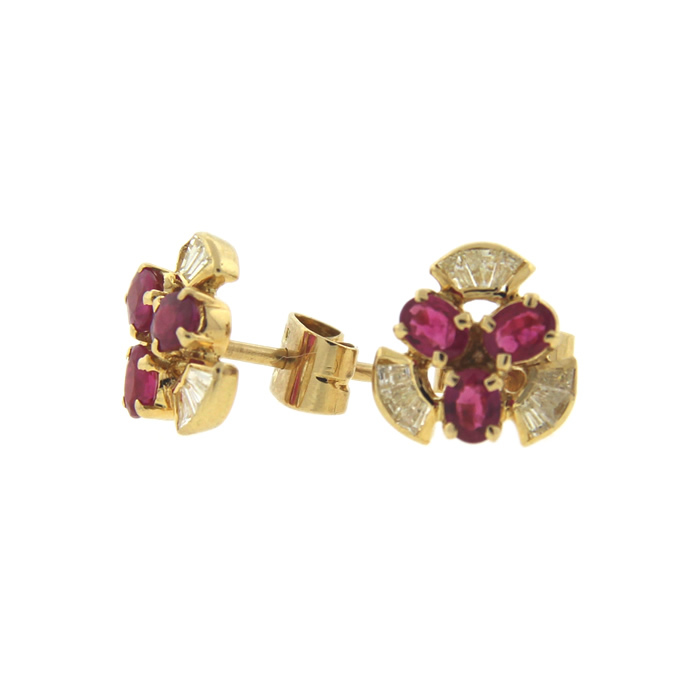 Crafted in 18k yellow gold and set with ruby and 0.18 ct. t.w. 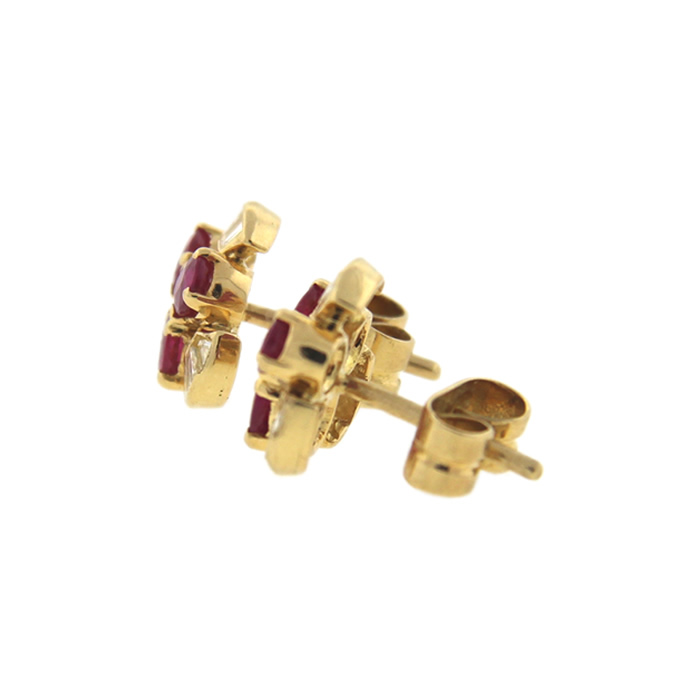 of tapered baguette diamonds.